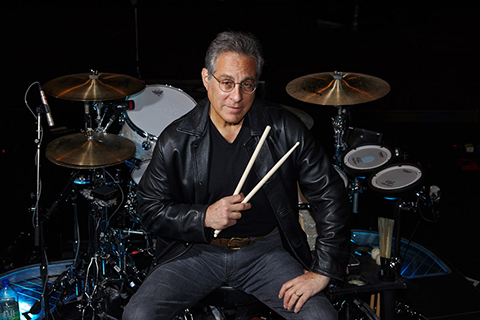 After recently completing “The River” Tour with Bruce Springsteen and the E Street Band, Max Weinberg and his own band is available for certain private party dates throughout the year. A recent inductee into the Rock & Roll Hall of Fame, Max Weinberg performs for private corporate, charitable and social events with his own band in a few different formats. The Max Weinberg Band performs Classic Rock, Motown, Disco and some pop featuring a killer horn section, along with some of Max’s accomplished musical friends. His newest musical aggregation, The Max Weinberg Orchestra had its debut at New York's world-famous Rainbow Room in 2015, featuring music from the Big Band and Swing Era along with some sizzling Latin music. Max’s band performed at private parties for Chase, Holy Name Hospital, Overlook Hospital, Saudi Petroleum and Beth Israel Medical Center as well as at the wedding of NBA Commissioner Adam Silver.